If you’ve seen the movie The Social Network, you understand what can happen when starting a business together. Worst case scenario is that a good friend who happens to be your co-founder deliberately tries to eliminate you from the company. Or the other way around. Anyways, if you don’t arrange your startup partnership properly upfront, it can become quite the hassle later on. To help co-founders arrange their business correctly, there’s now Founders Toolkit. 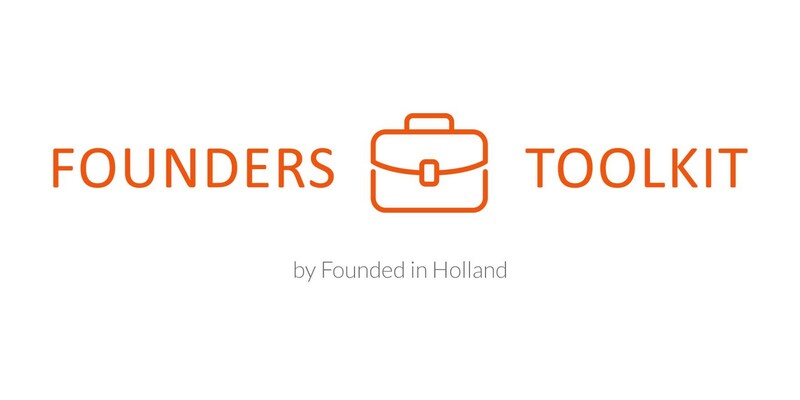 Founders Toolkit is an initiative from Dutch startup platform Founded in Holland. With the toolkit, they offer an easy and inexpensive way for co-founders to make agreements on starting their business. It starts with an online questionnaire that all founders should fill out and it ends with a legal document. According to the initiators of the toolkit it’s important that all startups arrange their business properly from the start. After the online form is filled out by all founders, the startup receives a personal invitation to discuss their partnership in more detail. It’s vital that all founders collectively agree on the questions that they’ve individually answered differently. Within one week after the meeting, all founders receive a concept collaboration agreement. Depending upon the pace in which of all partners come to an agreement the final version can be available within 10 days after the concept. Founders Toolkit promises that a legally binding collaboration agreement can be ready within one month (provided that the founders come to an agreement). Filling out the toolkit online is completely free of charge. 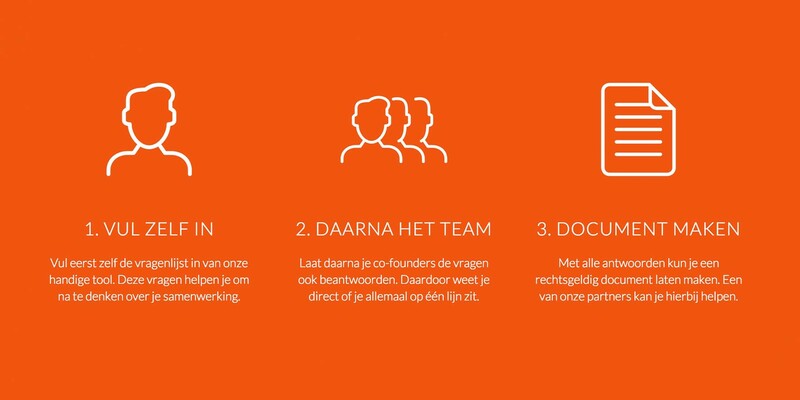 The job is already half done after that according to co-founder of Founded in Holland and one of the initiators of this toolkit, Tim Gouw. The answers that arise from the questions offer a solid basis for the collaboration agreement. While the document itself isn’t free Gouw adds: “You can have the contract drawn up by us, with a discount at selected partners, or someplace else of your choosing. You could be done for only a couple hundred euros if it’s a standard contract. In some cases, customization is applicable to accomodate all wishes. Founders Toolkit is now live in beta to test user demand. It’s only available in Dutch at the moment but an English version offering additional features is scheduled to launch this fall. This article was previously published in Dutch on Silicon Canals.